With performance enhancing drugs becoming more and more rampant in MMA, Nevada took the reins to try and slam the door on drug use. Gennady Golovkin = monster. There's just no other way to describe this guy. 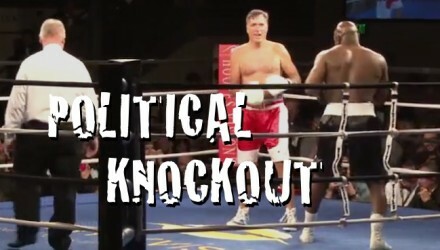 Evander Holyfield has faced some of the toughest competition in the boxing ring, but last night was an opponent like none other. 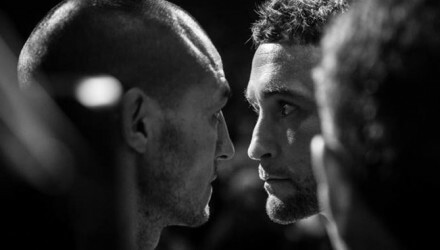 The marquee winners from the UFC Fight Night 66: Edgar vs. Faber fight card fielded questions about media following Saturday's event in the Philippines. 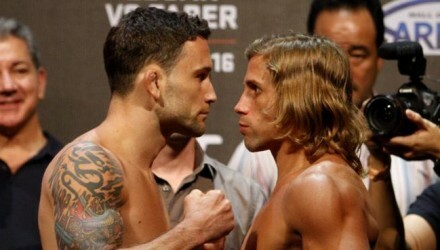 Check out the UFC Fight Night 66 main event fight pitting Frankie Edgar vs. Urijah Faber. Check out the UFC Fight Night 66 co-main event fight pitting Gegard Mousasi vs. Costas Philippou. 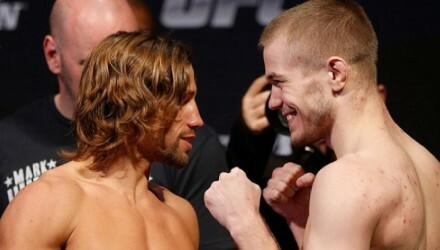 Check out the UFC Fight Night 66 fight pitting Mark Munoz vs. Luke Barnatt. 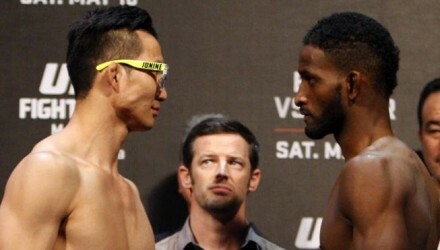 Check out the UFC Fight Night 66 fight pitting Hyun Gyu Lim vs. Neil Magny. The marquee winners from UFC Fight Night 66: Edgar vs. Faber event will field questions from the media following today's event from the Philippines. The 24 fighters competing on the UFC Fight Night 66: Edgar vs. Faber fight card in the Philippines on Saturday officially weighed in on Friday. 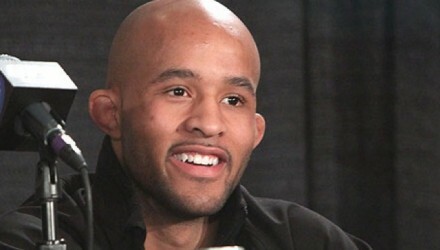 Flyweight champion Demetrious Johnson and women's bantamweight contender Miesha Tate fielded questions from the fans on Friday. 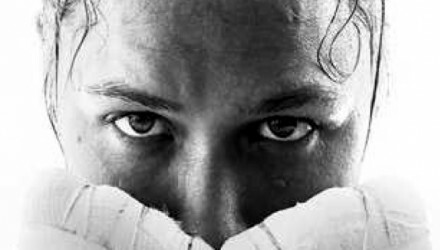 Bellator middleweight champion Brandon Halsey was tripped of his middleweight title after failing to make weight of his Bellator 137 bout against Kendall Grove. 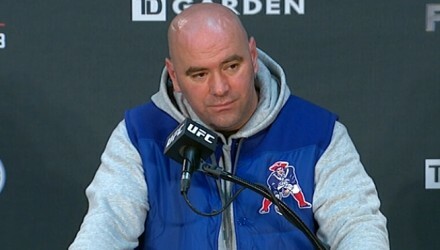 Prior to the UFC Fight Night 66 official weigh-in on Friday, Demetrious Johnson and Miesha Tate will field questions from the fans. 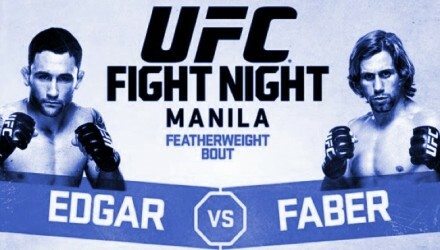 Watch the official UFC Fight Night 66: Edgar vs. Faber weigh-in streaming live on Friday from the Philippines at 7 a.m. ET. 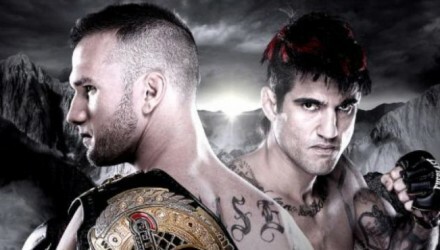 Watch Thursday's Bellator 137: Halsey vs. Grove weigh-ins live on MMAWeekly.com on Thursday at 8 p.m. ET / 5 p.m. PT. 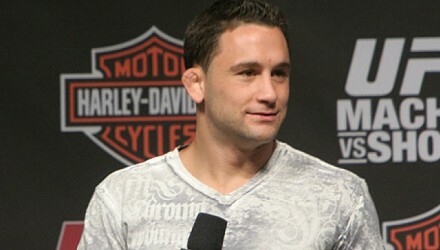 Former UFC lightweight champion Frankie Edgar faces the always-entertaining Urijah Faber at featherweight in the main event of Fight Night Manila. 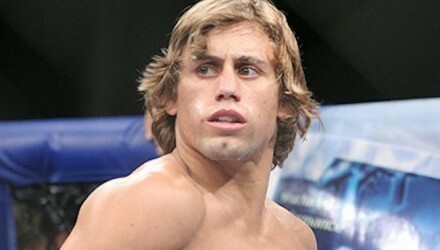 "The California Kid" Urijah Faber talks about his upcoming bout against Frankie Edgar in the main event of Fight Night 66 on May 16. 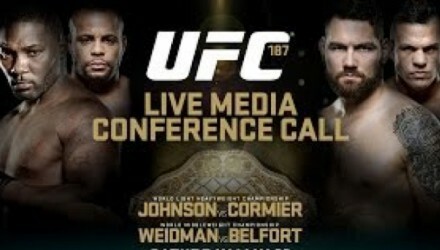 UFC 187 main and co-main event fighters Anthony Johnson, Daniel Cormier, Chris Weidman and Vitor Belfort fielded questions during this media conference call. SI goes behind the scenes with "The Unbreakable Ronda Rousey," a candid, behind-the-scenes look at the rise of the UFC champ. MMA veterans Daniel "DC" Cormier and Dan "Hendo" Henderson battled at UFC 173 to see who is the top light heavyweight contender. 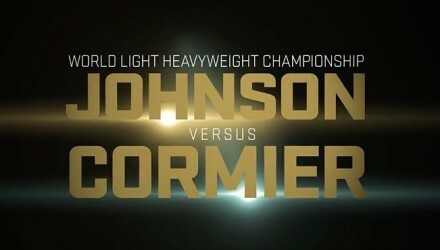 Check out the UFC 187 extended preview for a look at the Johnson vs. Cormier and Weidman vs. Belfort title fights. 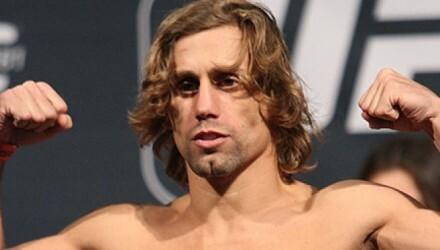 UFC featherweight "The California Kid" Urijah Faber took on young gun Michael McDonald at UFC on Fox 9 in Sacramento, California. Check out Frankie Edgar's stunning last second finish of Cub Swanson to set up his UFC Manila main event bout with Urijah Faber. Check out the UFC Fight Night 65 main event fight pitting Mark Hunt vs. Stipe Miocic, and Miocic's post-fight thoughts.